A great antique Italian instrument is absolutely vital for emerging artists, allowing them to reach their full potential of expression. For musicians, there is no greater thrill than playing on an exceptional instrument for the first time. There is a profound leap in the breadth of expression as the richer sound and improved response help the artist communicate the emotions of the music. Moreover, the broadening of dynamic range and color palette allows nuances and contrasts that immediately add new drama to their playing and a greatly heightened level of communication with the audience. 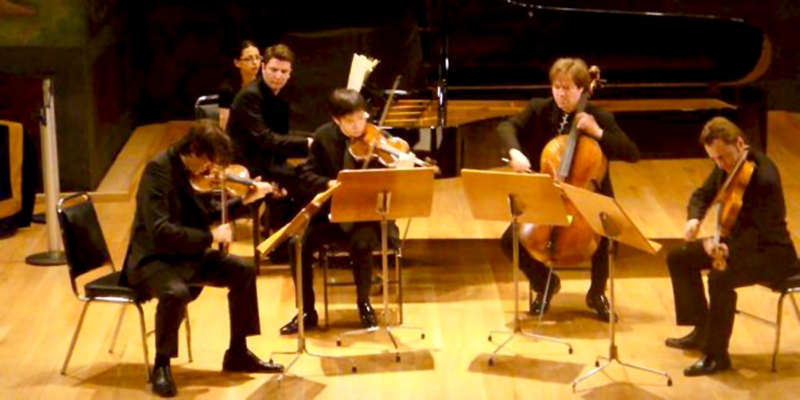 For music lovers, there is no greater joy than being moved by a compelling performance of a beloved work as interpreted by an extraordinary artist on an exquisite instrument. The artistry of violin making reached its zenith in Italy with the work of Antonio Stradivari and Giuseppe Guarneri del Gesù during the 17th- and 18th-centuries. That level of achievement has not been equalled since, and the instruments created during that period remain unrivaled in their richness and scope of sound. The finest examples of Stradivari and Guarneri instruments sell for millions of dollars each, placing them well out of reach of even the most successful musicians. To help unite artist and instrument, The Stradivari Society encourages philanthropists and foundations to acquire exceptional violins, violas, cellos, and bows in order to loan them through the Society to extraordinarily talented recipients who are carefully chosen through a rigorous selection process with the full participation of the patron. 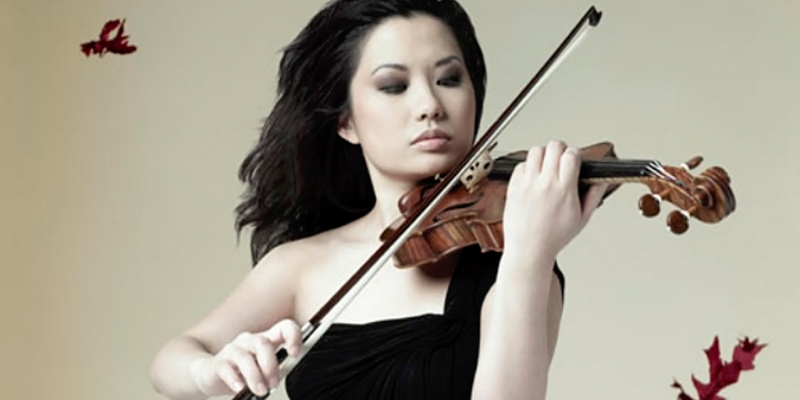 For The Stradivari Society Patron, the benefits of patronage are many and profoundly meaningful. Society activities bring political and business leaders together at the highest level. Along with the joy of acquiring and owning an exquisite instrumental masterwork, perhaps the most satisfying benefit of all is the unique and extremely rewarding relationship that develops between patron and artist. Along with the deep satisfaction of nurturing a major international career is the knowledge that the patron’s support has been essential in that artist making a lasting contribution to the world of classical music. Society artists are in the spotlight worldwide. 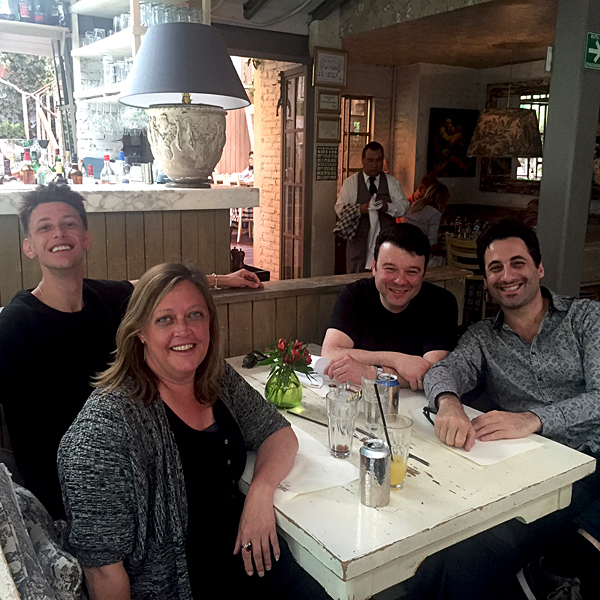 Patrons, if they wish, have the opportunity to be recognized in program notes, websites, artist biographies, and the media wherever these artists perform the world over, as well as on internationally distributed recordings. After “The Miracle Makers of Buffalo” gala concert in the elegant Mary Seaton room of Kleinhans Music Hall hosted by Society Patrons Karen and Clement Arrison. 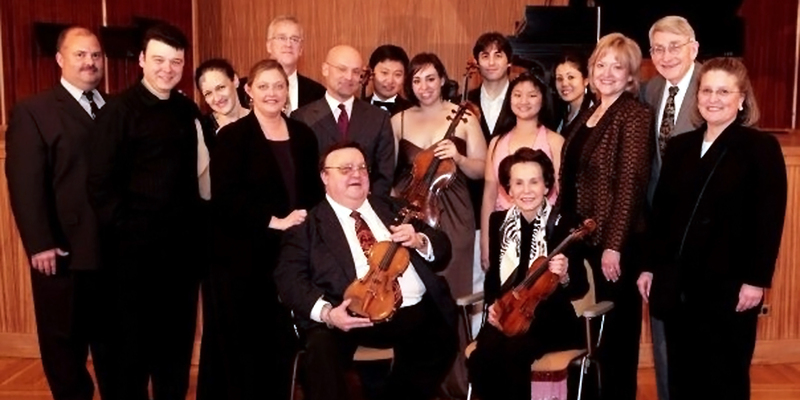 Standing: Alec Fushi; Society Artistic Advisor and recipient of the “Auer” Stradivari violin of 1690, Vadim Gluzman; pianist Angela Yoffe; Executive Director of the Society Suzanne Fushi; David Sims; pianist Robert Koenig, former recipients violinist Chen Xi and violist Beth Guterman Chu holding a Gasparo da Salò viola of 1590 on loan through the Society by the Samsung Foundation for Culture; Philippe Quint, recipient of the “Ruby” Stradivari violin of 1708; former recipient and violinist Emily Hyun; violinist Emi Tanabe; Karen and Clement Arrison; and Catherine Schweitzer of the Baird Foundation. Seated: Society Chairman Geoffrey Fushi with the “Sennhauser” Guarneri del Gesù of 1735 on loan through the Society thanks to the Arrisons, and Society Founder Mary Galvin with the “Ruby” Stradivari violin, also on loan through the Society by an anonymous patron. 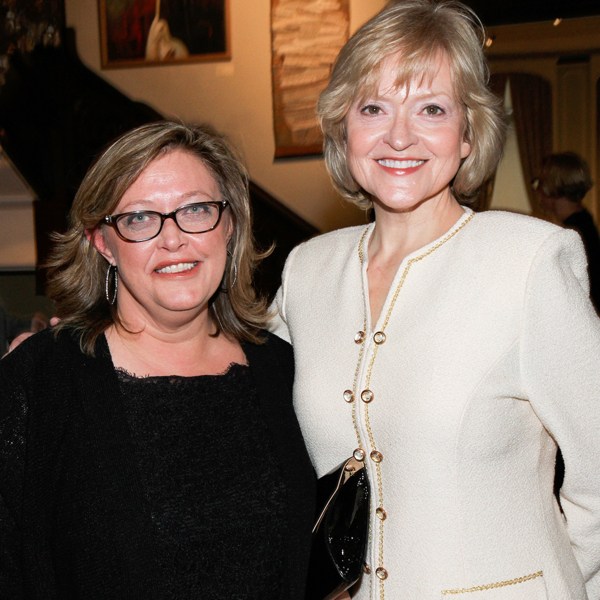 Photo: John Kringas Executive Director of The Stradivari Society Suzanne Fushi with Society Patron and New York Preservation League Vice Chair Karen Arrison at the Preservation League gala benefit at the historic Ukrainian Institute of America in New York City. 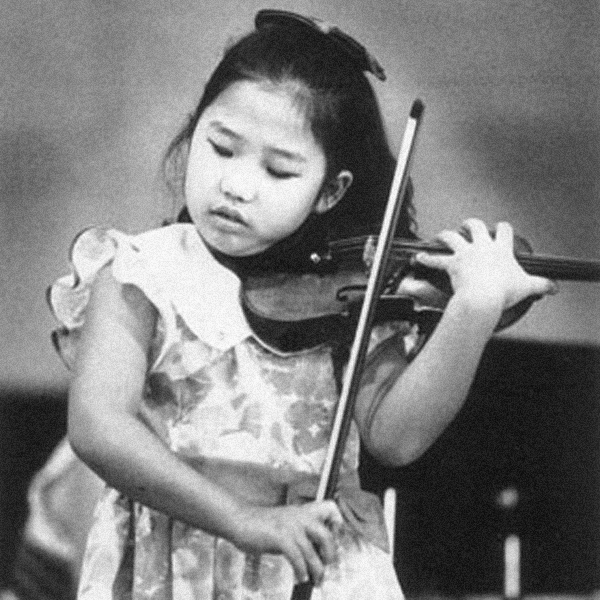 Society Patrons have helped develop the international careers of some of the foremost artists of our time, including Midori, Joshua Bell, Augustin Hadelich, Vadim Gluzman, Philippe Quint, Paul Huang, Gil Shaham, Sarah Chang, Vadim Repin, Maxim Vengerov, Kyoko Takezawa, Leila Josefowicz, and Hilary Hahn, among many others. Recipients perform private recitals for their patrons each year, in addition to concerts for Society supporters and their guests. The concerts provide once-in-a-lifetime musical experiences which the patron can share with family, friends, and business associates. These performances have ranged from house concerts reminiscent of the salon concerts of the past to concerts at distinguished clubs, and legendary performance venues. The Society has collaborated with patrons and the organizations they support to present special concerts as part of gala fundraising events. Administration of all aspects of instrument loans, insurance, and maintenance for patrons is handled by the Society in conjunction with John K. Becker and Company. John Becker is world renowned for his conservative restoration of the rarest classic Italian violins and violas. Thanks to generous patrons, The Stradivari Society® has become a “living museum,” with all of its great art objects in use by artists all over the world. Instruments deteriorate if not played regularly. What better use is there for these priceless instruments than to be in the hands of one of the world’s top musicians for the enhancement and enjoyment of all who are touched by great music?